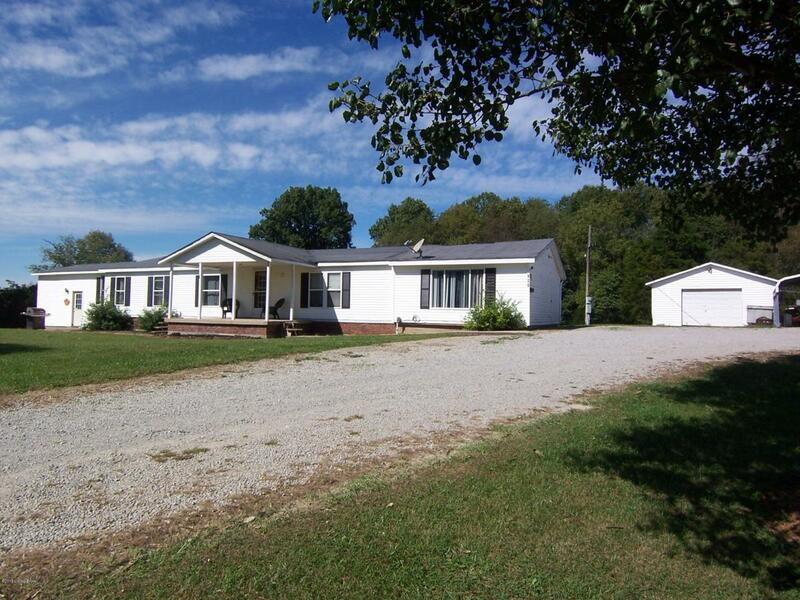 Quiet country atmosphere awaits you with this spacious four bedroom two bath manufactured home with 20x24 detached garage on 5.02 serene acres down a shared private road. Home offers 2898 sq. 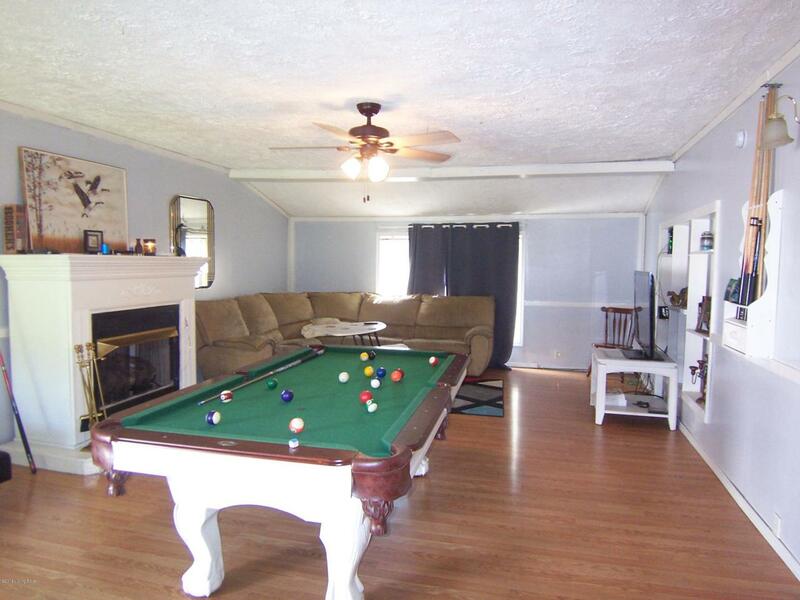 ft. of spacious living space with laminate wood & tile flooring. Nice Family Room with gas freestanding fireplace. Eat in Kitchen comes equipped with dishwasher, refrigerator and range/oven. Nice sunroom overlooks beautiful acreage. Mother in law suite is a nice bonus feature. Great rear deck & above ground pool for all your outdoor enjoyment. Additional amenities include partial fencing & equipment shed. 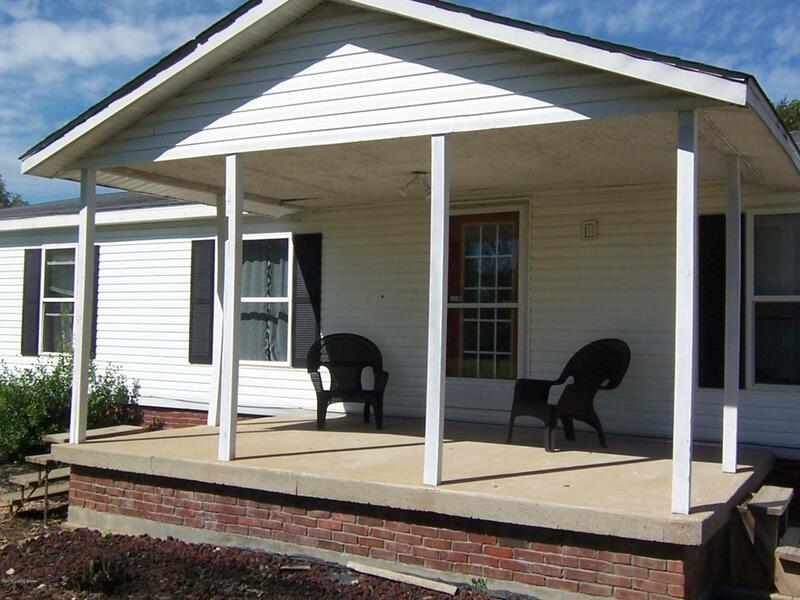 Great commute location to Springfield or Bardstown. 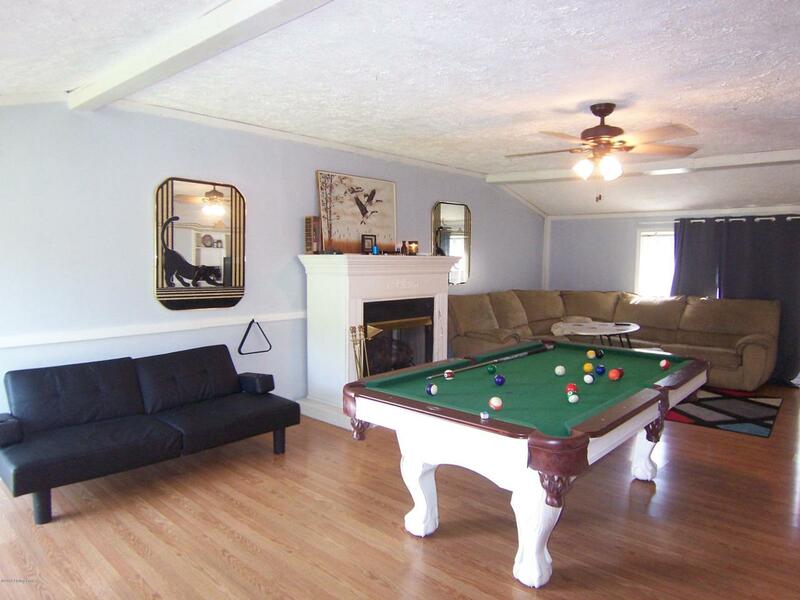 Don't miss this great country home.